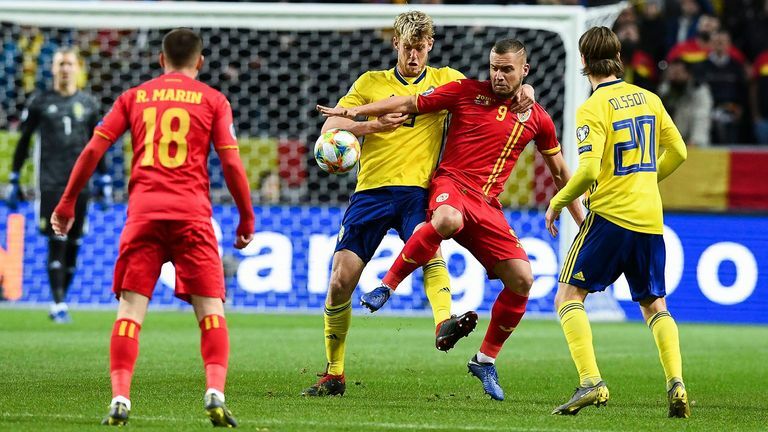 Robin Quaison and Viktor Claesson were on target as Sweden beat Romania 2-1 in Stockholm to start their European Qualifiers in style. Quaison and Claesson put Sweden two up at the break and they held on despite substitute Claudiu Keseru's reply. 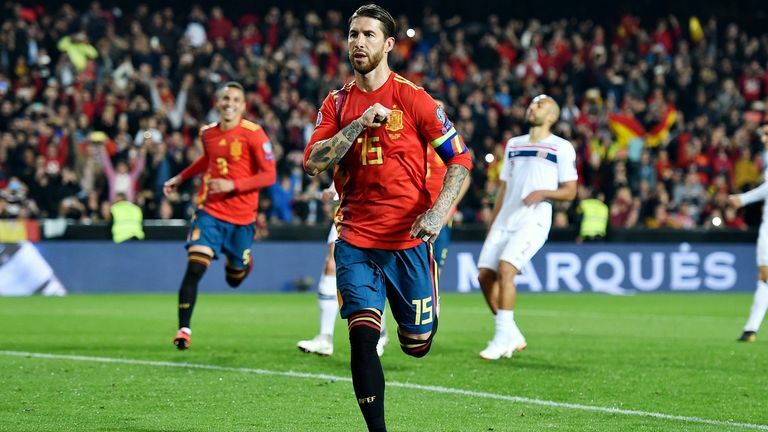 Elsewhere in the group, Spain captain Sergio Ramos scored for the fifth international in succession as his side made a winning start to Euro 2020 qualification against Norway. The Real Madrid defender clipped in a trademark Panenka penalty as La Roja won 2-1 in their Group F opener in Valencia. Rodrigo had opened the scoring for Luis Enrique's side and though Josh King levelled from the penalty spot, Ramos had the final say with his 16th goal of the season for club and country. Goals from Kostas Fortounis and Anastasios Donis gave Greece a 2-0 win over Liechtenstein in European Qualifiers Group J, while Bosnia and Herzegovina beat Armenia 2-1. Rade Krunic headed the opener and substitute Deni Milosevic made it 2-0 after good work by Edin Dzeko, on his 100th international appearance, and Edin Visca. Arsenal playmaker Henrikh Mkhitaryan pulled one back from a stoppage-time penalty. Elsewhere in Group J, Italy beat Finland 2-0 in their first game. Nicolo Barella gave the Azzurri an early lead in Udine, with Juventus forward Moise Kean's first international goal securing victory. 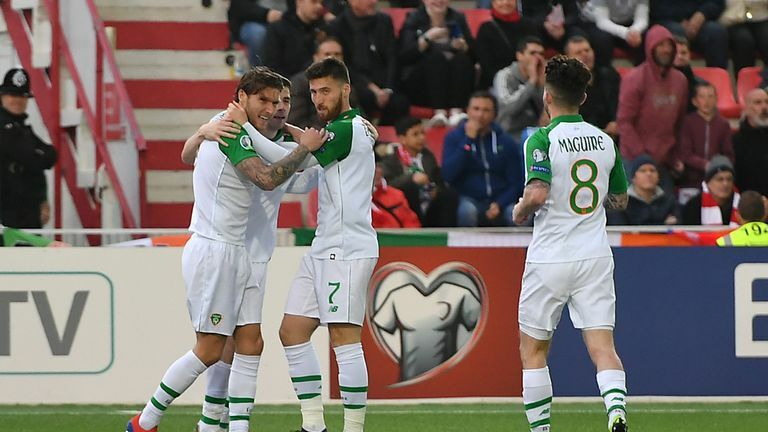 In Group D, Jeff Hendrick scored the only goal as the Republic of Ireland edged out minnows Gibraltar 1-0. Ireland toiled against the side ranked 194th in the world - and above only San Marino among UEFA nations. Mick McCarthy's side wasted several glaring first-half chances and were indebted to a brilliant Darren Randolph save just after half-time, but came through when Hendrick swept home David McGoldrick's cut-back. Switzerland beat Georgia 2-0 in the group's other game. After a goalless first half, Steven Zuber gave Switzerland the lead and Denis Zakaria's goal 10 minutes from time made the win safe. Ten-man Malta beat the Faroe Islands by the same scoreline in a hard-fought encounter between the group's two underdogs. Kyrian Nwoko put Malta ahead in the first half and Steve Borg's penalty proved decisive. 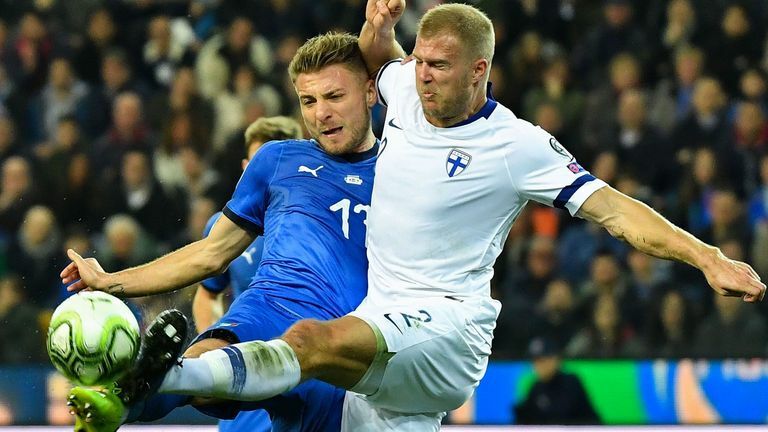 Could San Marino shock Scotland? Andrei Agius was sent off but Brandur Hendriksson missed from the spot for the Faroes, whose goal came eight minutes into injury time from Jakup Thomsen.